Inspired by the colours and flavours of Greece, our bakers have created Bazaar® Greek Yiros. 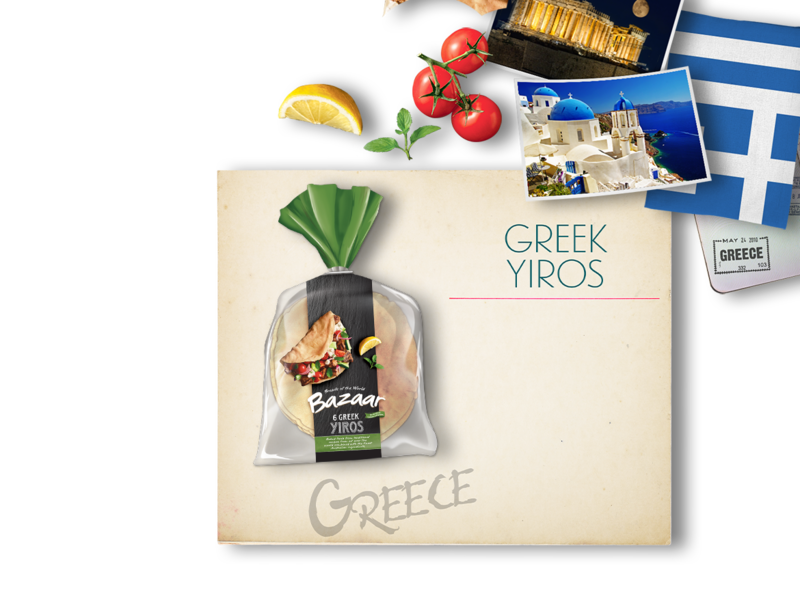 Baked fresh using the highest quality ingredients, Bazaar® Greek Yiros is soft and versatile and perfect for every occasion. Whether for serving with dips, wrapping a traditional lamb kebab, or for topping as your family’s favourite pizza, Bazaar® Greek Yiros will keep the whole family happy.